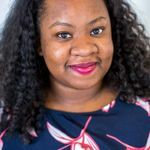 Wedding cakes, like just about every aspect of wedding details, have undergone some big changes since WeddingWire launched in 2007. To celebrate our anniversary, we took a look at cake trends over the years. 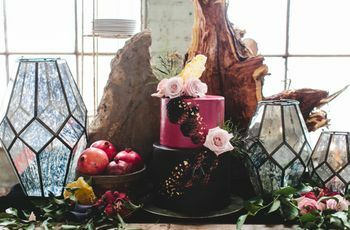 From elaborate, detailed and story-driven cakes at the tail-end of the aughts (think Ace of Cakes and Cake Boss realness) to the whimsical, artistic interpretations that guide today’s geode and metallic wedding cakes. See how wedding cake trends have evolved since 2007! Blame it on the reality cake show, or maybe the emergence of social networking and its focus on the itty, bitty details of life. Whatever the reason, wedding cakes in 2007 were personalized, fondant marvels. As if bridging the gap between traditional, multi-tier white cakes and the laissez-faire wedding cakes of today, the year 2007 was awash with perfect fondant, gorgeous pastel flowers and buttercream beading. After decades of round wedding cakes, 2008 was the year that really shook up the tradition. Tiered cakes in squares or other polygon shapes took off this year, as couples raced to breathe new life into traditional wedding sweets. 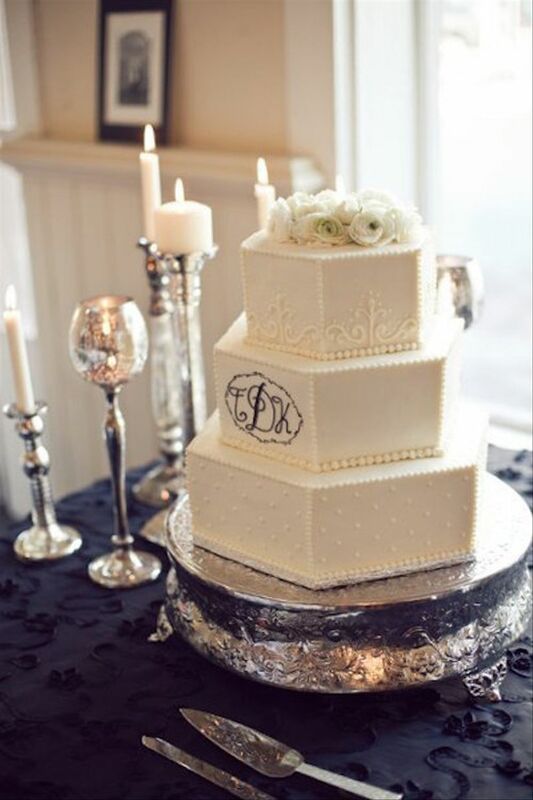 Continuing with personalization, monograms on wedding cakes became very popular this year as well. Although intrepid couples ventured into the land of wedding cupcakes before 2009, this was the year couples really explored and maximized cupcakes. Whether accompanied by one layer of traditional wedding cake or offered solo, couples in 2009 found many different ways to show off their creativity with these neat little cups of cake. This was also the year when couples decided white cake shouldn’t be the only available flavor for wedding cakes. Chocolate cakes and cupcakes enjoyed a brief time in the sun this year. Maybe someone realized the buttercream to cake ratio of cupcakes could be improved. Maybe cupcakes just opened the floodgates for miniature and adorable sweets. Whatever the reason, 2010 was the year of cake pops. These small balls of cake covered in fondant became a favorite for couples who were married this year, either as part of an emerging dessert table, as wedding favors or as the main wedding dessert itself. 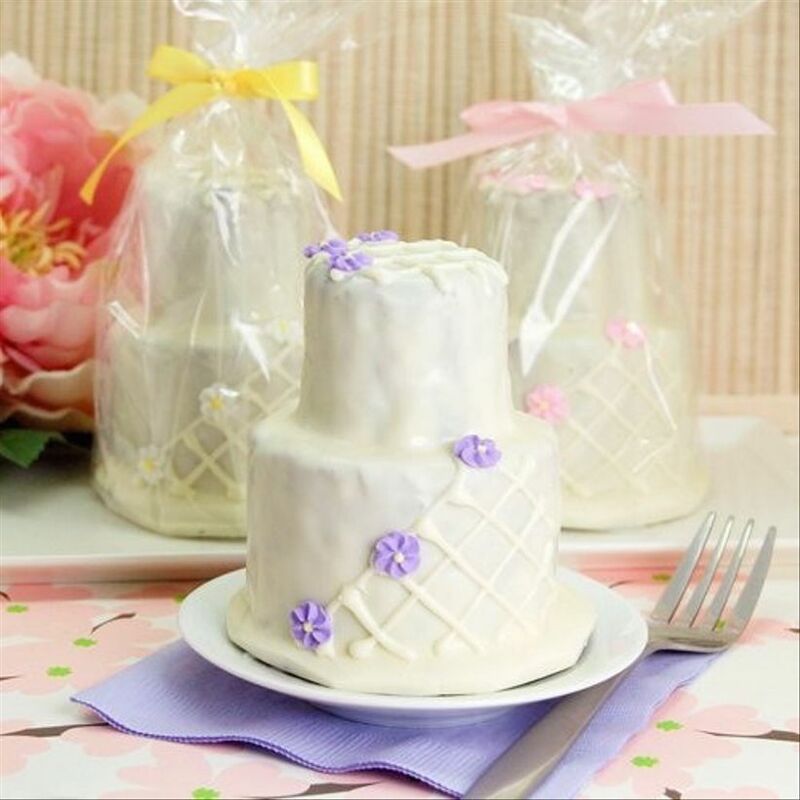 Continuing with the trend of ever-shrinking wedding desserts, mini fondant wedding cakes took over in 2011. 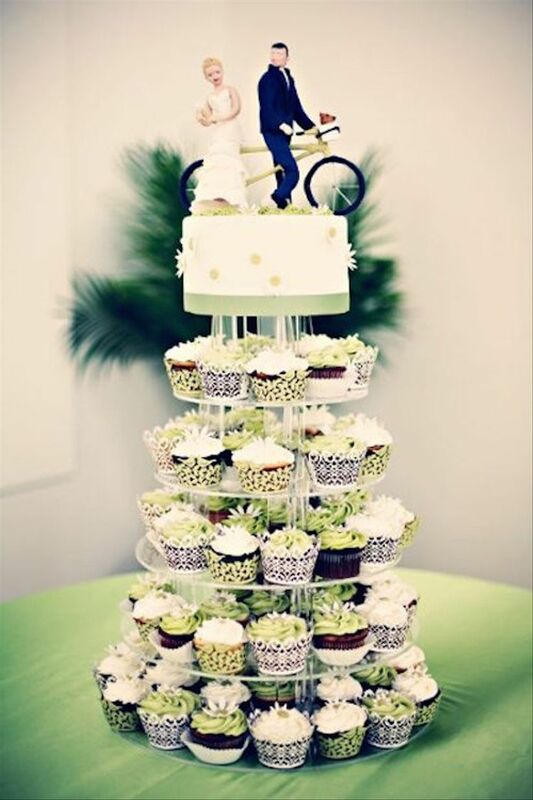 Mini cakes combined the best of trends past, with elaborate and colorful designs on teeny wedding cakes. As wedding cake traditions evolved past 2011, the mini cakes trend evolved and remained relatively popular. After years of pomp, wedding cake trends sat down in a meadow, took stock of the natural inspirations and decided to go all rustic. 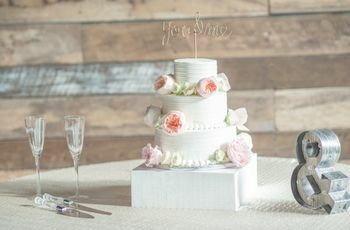 As converted barns and reappropriated farms became more popular wedding venues, wedding cakes began to look more vintage with touches of lace while fresh flowers and burlap ribbons became popular cake accessories. 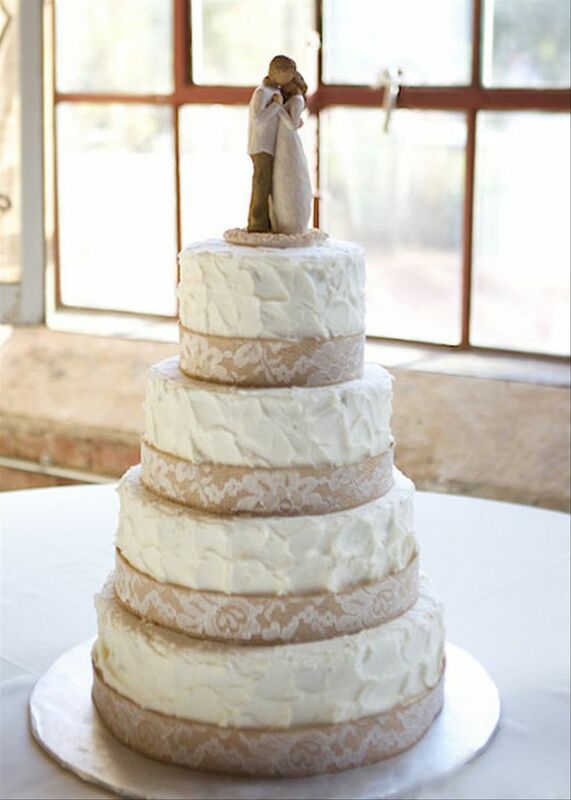 At the same time, vintage-looking lace became popular with wedding gowns, and a bit of lace on an otherwise rustic wedding cake became a popular trend. Enter: The dessert table. 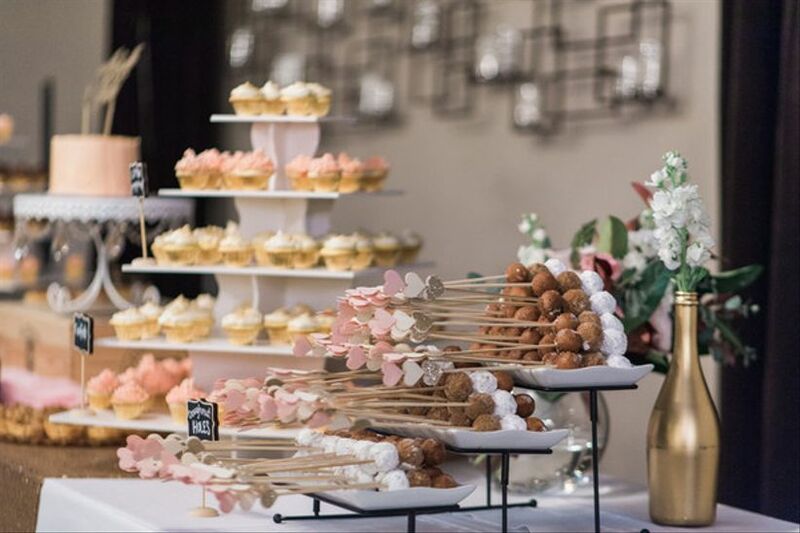 With wedding desserts getting smaller (see: cupcakes and cake pops), the need for an artful display of desserts emerged. The year 2013 was peak dessert table, though, as couples opted for multiple desserts and multiple, smaller cakes. Wedding cakes essentially went from the taller the better to the wider, more spread out and more diverse, the better. So, the trend of arranging a collection of one-layer cakes, usually in a variety of styles and designs, emerged as king this year. Angelina Jolie may have been the culprit. 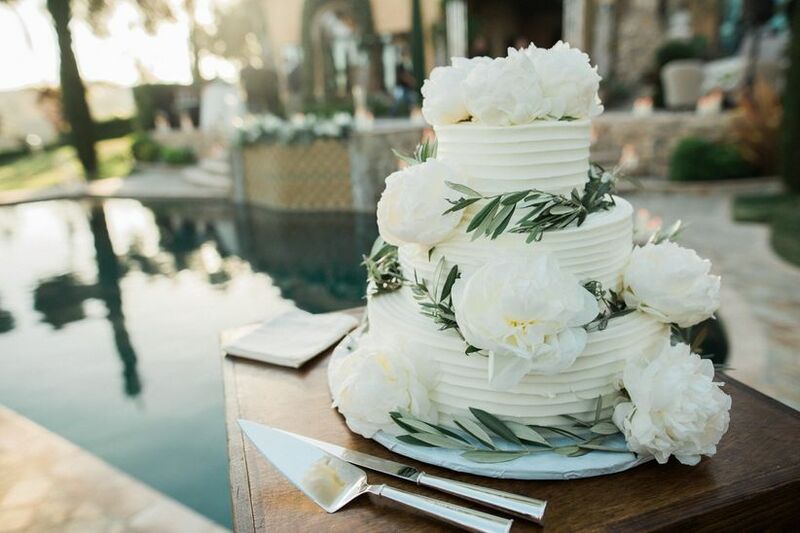 After her 2014 wedding to longtime partner Brad Pitt featured a homemade and sparsely frosted cake created by their 10-year-old son, the phrase “naked cake” took over the wedding cake industry. 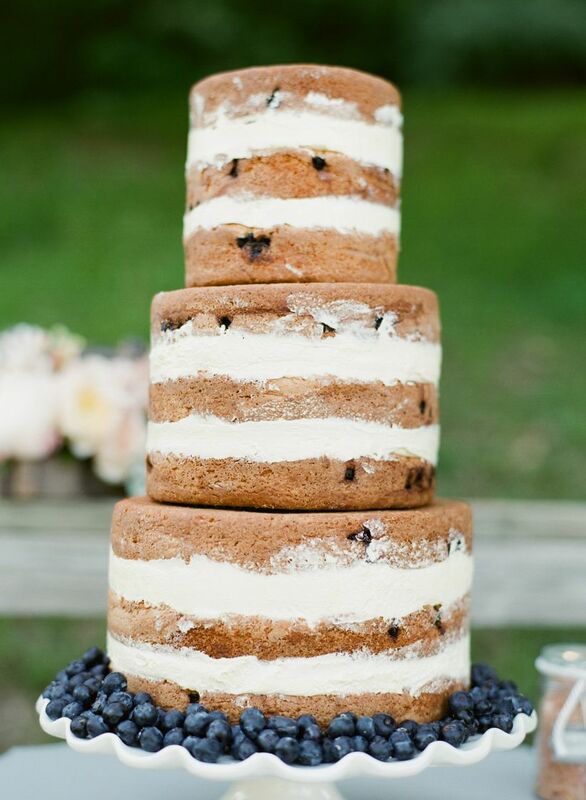 Naked cakes normally feature many layers of moist cake sandwiched between ample amounts of buttercream while the sides are left bare, or nearly bare. Beyond that basic principle, though, naked cakes offer a ton of variety for couples, including decorating with fresh fruit, colorful flowers or sprigs of seasonal plants. 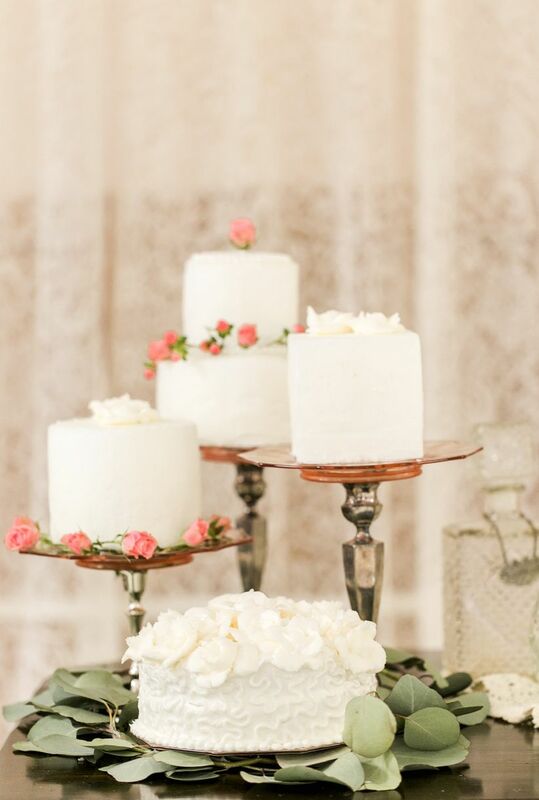 Naked cakes soon made room for a variation— “nearly” naked cakes, which allowed for a bit more frosting cover, but still retained the bohemian aesthetic of their predecessors. 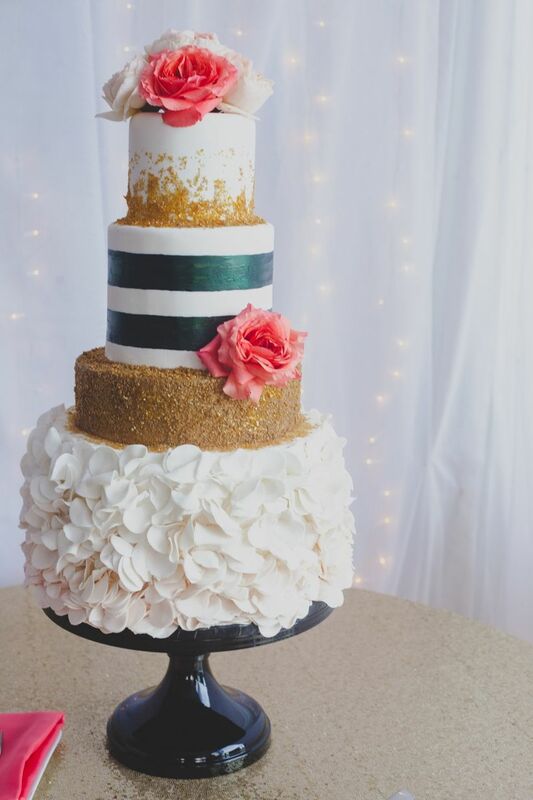 After years of minimalism, couples might have wanted to bring the bling back into wedding cakes. What else could account for the sudden emergence of ornate, metallic pops of color and lots of texture? Metallic entered weddings in many different forms, from gold foiling to hints of glimmery sheen painted on layers of cake to textured gold designs. Rose gold, silver and bronze also played into the metallic trend, but not in as big a way as gold. Then there was the texture. After kicking fondant to the curb with buttercream-filled naked cakes, couples saw no need to turn back. Textured buttercream cakes were another popular trend of this year, as the sophisticated style was as tasty as it was beautiful. 2016: Geode, Shimmer & Color, Oh My! Worlds collided—kind of literally—to create 2016’s biggest wedding cake trend. Geode cakes drew unlikely inspiration from geological structures called geodes, which are cute, brightly colored rocks that are accompanied by equally brightly colored crystals. The wedding cakes combined lots of things that couples really loved in 2016, including bold color, hints of metallic (hi, 2015!) and nature-inspired glam. 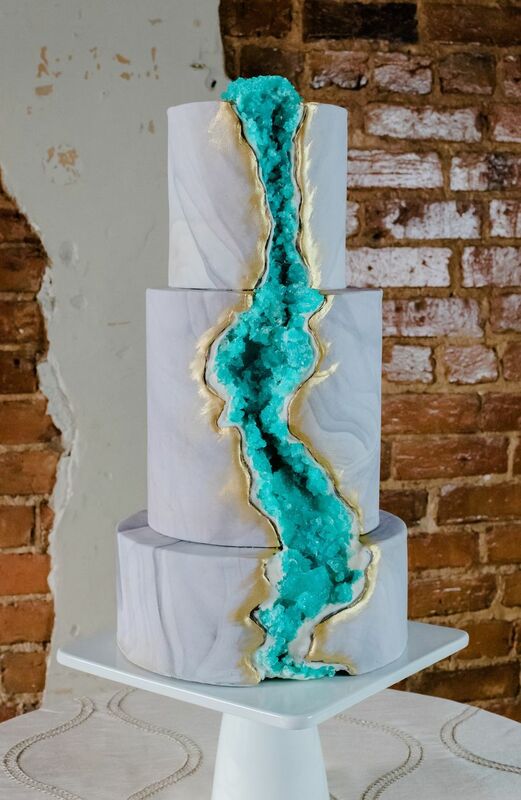 Often accompanied by actual geodes or inspired by real rock formations, geode cakes were yet another way for couples to infuse their unique personalities into every aspect of their wedding experience. Stretching beyond the wedding cake, many couples opted to draw inspiration from geodes for other wedding details as well. While it might have seemed like wedding dessert trends had traversed the entire world of desserts, there were a few untapped corners—and they resided at a doughnut shop. 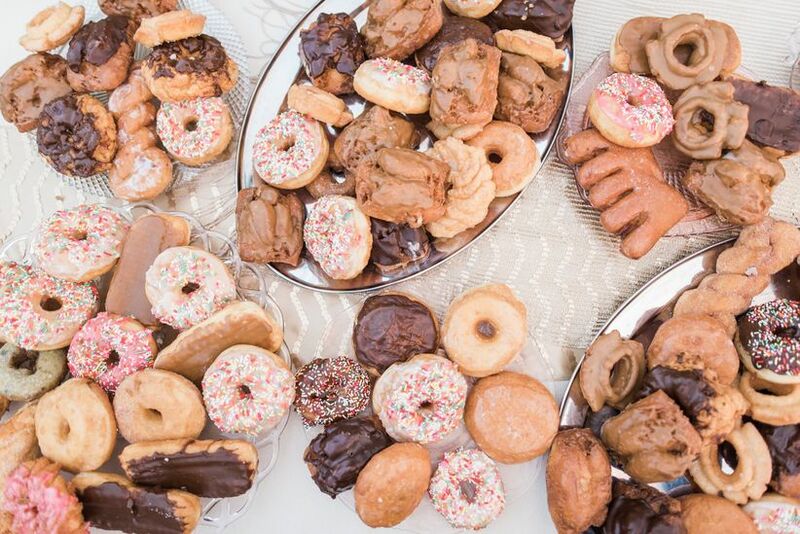 Doughnuts became popular in years past, when couples decided to offer their guests an array of desserts instead of just wedding cake, but this year, the circular treat really shined brighter than all others. 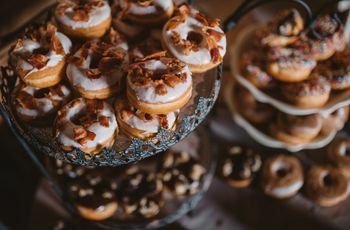 Couples created elaborate doughnut walls, either as part of the dessert presentation or as a fun snack later on in the night, and offered other desserts, like ice cream sandwiches. 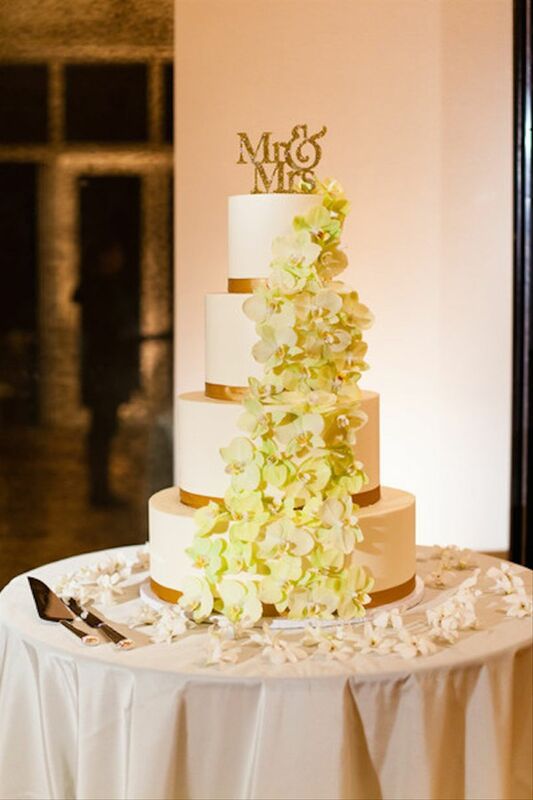 For couples who wanted to include wedding cake as part of a dessert table or as the central dessert, whimsical themes continued to dominate as bright and fun drip cakes—cakes with icing designed to “drip” down the layers of the cake—dominated the cake space.